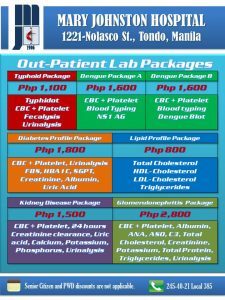 Professional fee for doctor is not yet inclusive. 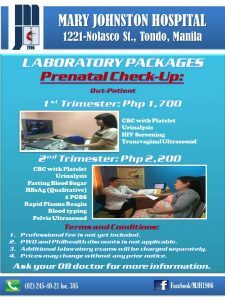 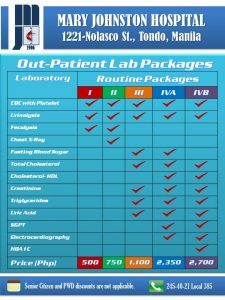 Senior Citizen, PWD, Phil-health discounts in not applicable. 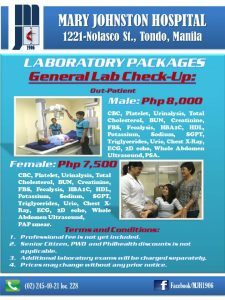 Additional laboratory examination will be charged separately.